British attitudes towards pubs in 2017 have evolved to encompass current social trends whilst retaining classic British traditions, including the discovery that craft beer & ale is now the top tipple of choice amongst British women. When given the choice between having a wide selection of craft beer & ales, gin, whisky or soft drinks behind the bar, women overwhelmingly voted in favour of craft beer & ales with a majority of 57%, and over half would choose to enjoy their pint with British television royalty, Sir David Attenborough, over Her Majesty the Queen. The survey, conducted on behalf of Nicholson’s Pubs, also discovered that, despite social media feeds being flooded with shots of the newest food trends, British women still chose to opt for more traditional British dishes. Fish & Chips won the popular vote with 47% choosing this classic dish over current health-led trends such as a quinoa salad, which only garnered 3% of the vote. Men were also in favour of traditional British dishes, with almost half (44%) opting for a hearty beef & ale pie. 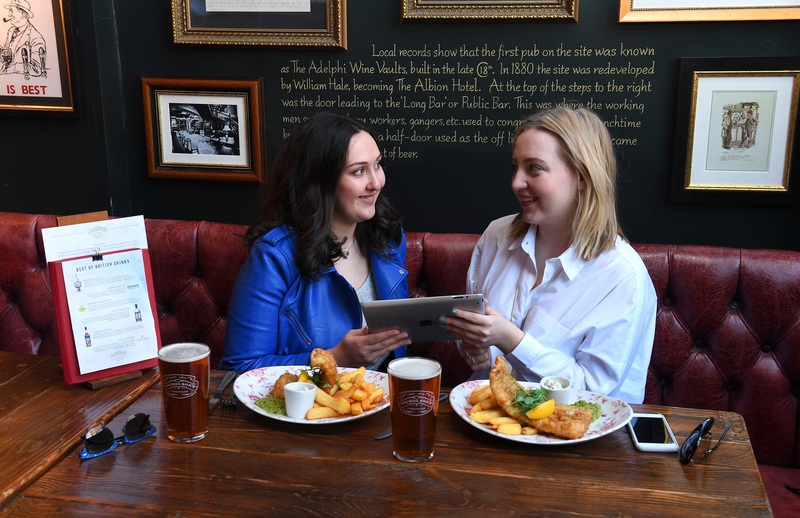 Although British tastes have remained traditional, reasons for visiting the pub have shifted in this increasingly digital world, with two thirds of respondents stating the top reason they would pop into a British pub in 2017 is for free WiFi. Seeking social kudos on Facebook also proved popular with 17% of people choosing to visit a pub so that their friends know they’re out and about by checking in at a traditional British pub. William Prideaux, operations director of Nicholson’s Pubs comments; “It’s great to find out that the British public are still opting for great British dishes such as the traditional Fish & Chips and Steak & Ale pies, but it’s also interesting to see how pubs have adapted to digital trends have changed over the years. 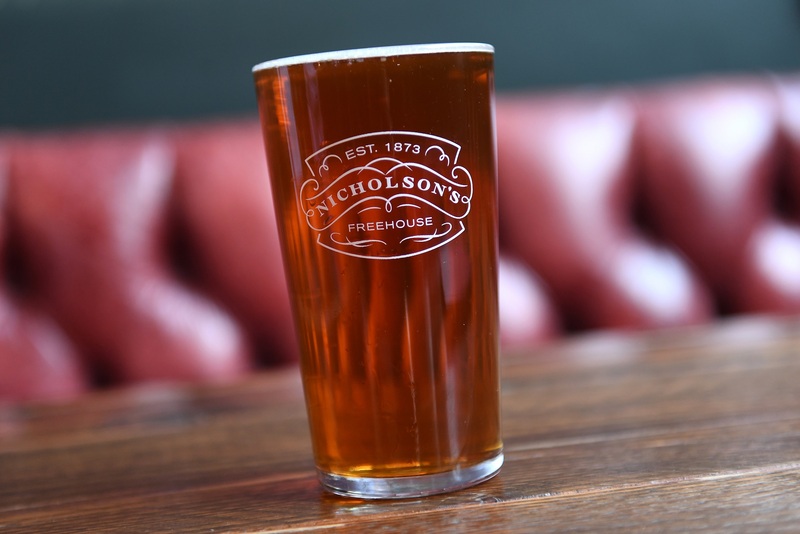 The discovery of just how much more popular craft beer & ales are amongst the female population, in comparison to other drinks, was an interesting revelation, and we’re listening to this demand with a great selection of craft beers & ales stocked in all of our pubs, including our very own Nicholson’s Pale Ale. Other stats revealed that for men, the best thing that can happen in a British pub would be to be served first (40%), whilst women (35%) prioritised comfort as finding an available seat or table was of more importance than being served at the bar. 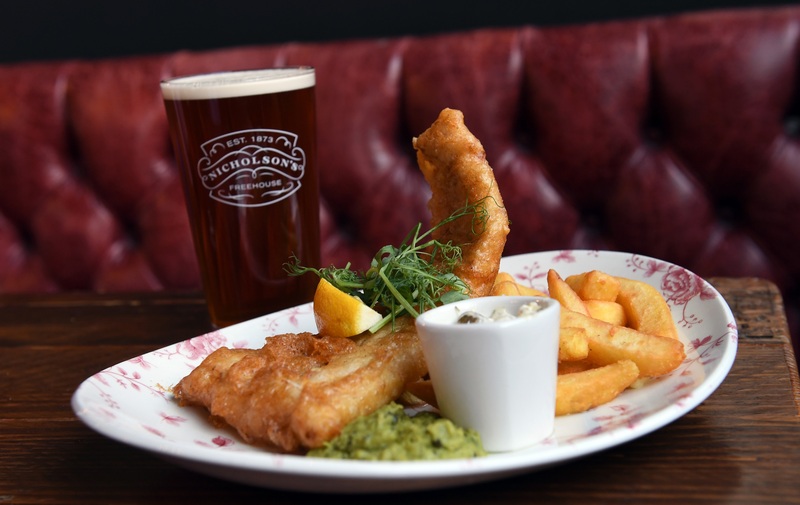 The Nicholson’s Best of British campaign is running until 1st May 2017 and its speciality pie, fish, sausage and chop houses are championing classic British dishes and drinks, including Nicholson’s Fish & Chips, Slow-Cooked Steak, Amber Ale & Mushroom Pie and Gloucester Old Spot Sausages. This press release was distributed by ResponseSource Press Release Wire on behalf of Spotty Dog Communications in the following categories: Leisure & Hobbies, Women's Interest & Beauty, Food & Drink, for more information visit https://pressreleasewire.responsesource.com/about.